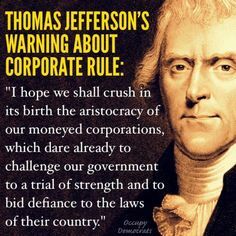 Thomas Jefferson saw #Gorsuch coming. #GosuchHearing #CitizensUnited We see you. NO CONFIRMATION for a stolen seat.